The Puritans have no doubt profoundly affected me and my walk with Christ. They have drawn me closer to Christ, and as a result, I have an affinity to them and their work. One study of the 1647 Westminster Confession will have any thoughtful Christian hooked on the greatness of Puritan Theology. If you click on the links in the margin, each puritan has a respective page (there are hundreds of pages). Each page will list their works, a biography of them, and if any good works are available in reprints today. I hope they will be as helpful for you as they have been for me. Check out this podcast on The Puritans as Precisionists that I spoke on during the Iron Sharpens Iron Radio Program. (2 Hours). One of the greatest books I have ever read besides the Bible is Francis Turretin’s (1623-1687) “Institutes of Elenctic Theology.” This is where Turretin came after, but stood upon the shoulders of the previous reformers, in his theological views. Consequently, the Puritans did the same. The Puritans are a deep well of theology and biblical exposition. They knew how to align theology and practice together like no other time in the post-reformation church. Another classic that continues to be profoundly influential to me is John Bunyan’s (1628-1688) “Pilgrim’s Progress.” I have read it more times than I can count. Bunyan’s treatment and exposition of the practical life of the Christian is exemplary for meditation and holy living before Jesus Christ. It is regarded as one of the most significant works of religious English Literature, has been translated into more than 200 languages, and has never been out of print. Amazing. Jeremiah Burroughs’ (1599-1646) work, “Gospel Worship,” was key in transforming my views of worship from mundane to sacred. Burroughs masterfully applied the implications of Leviticus 10:3 to the life of the church and the directives God gives for worship in a way few others have ever done. It is a gem. And many of his other sermons have been greatly helpful to me as well, such as his works, “Gospel Peace,” and “Jacob’s Seed and David’s Delight“. Christopher Love’s (1618-1651) work, “The Hearer’s Duty” contains rules for buying and selling. It may be one of the greatest, if not the greatest piece of expository writing on commodities in lieu of the Christian life in print. Every Christian ought to devour that work who lives in our commercial civilization. Referenced below in discussing Jonathan Edwards is another one of Love’s works on hell that is astounding, and deeply penetrating. His book A Treatise on Hell’s Terror may be the best work I ever read on the doctrine of endless punishment. Nathaniel Ranew’s (1602-1678) book, “Solitude Improved by Divine Meditation; or a Treatise on Divine Meditation,” is a classic work on Biblical meditation – one of my all time favorites (right up there with Thomas White’s work and Edmund Calamy’s work). He expounds the proper and improper attitudes and directives to meditating on God’s Word from God’s Word. I do not know what I would have done as a young Christian without the help of that particular work in my daily devotional life. Blaise Pascal’s (1623-1662) “PENSÉES” are phenomenal. He covers so many topics with deep insight that you are bound to ponder just a sentence or two for hours. William Perkins (1558-1602) and his writings are some of the most excellent pieces of theological literature in existence. Puritan Publications has published a number of his works. In working to publish these excellent works, it has been an edifying time in updating each of these treatises for my own spiritual benefit. Even his, “Discourse on the Damned Art of Witchcraft” is possibly the best book on witchcraft I’ve ever read. And no doubt, the contents of that work is little known in our day, or even contemplated. John Brinsley (1600-1665), the younger, was a Presbyterian puritan divine who was a powerful Reformed Gospel preacher and writer. He is by far one of the best puritans I’ve ever read. And…he wrote one of the greatest books in Puritan Theology called, The Christian’s Union, Communion and Conformity to Jesus Christ In His Death and Resurrection. 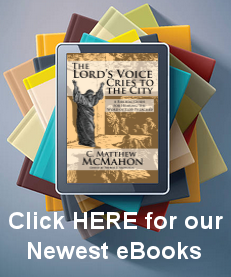 It is staggering in its depth and will draw the Christian into a deeper walk with Jesus. Francis Whiddon (d. 1656), who is relatively unknown, wrote a wonderful work called, A Golden Topaz, or Heart-Jewel, Namely, a Conscience Purified and Pacified by the Blood and Spirit of Christ. If a minister could only write one book, on one topic, what would it be? The topic Whiddon chose was the blood of Jesus Christ. This is an amazing work. One of our most crowning achievements in publishing the Westminster Puritans is the new 1647 Westminster Confession and Standards, with all their subordinate documents, containing complete-cited proofs from the KJV bible. It has been carefully reproduced and is now in its 3rd printing. It is by far the best translation of the Westminster Confession in print since its first printing in the 17th century, and is worth the reader’s time being the best confession of Christian Theology ever penned. But among the Puritan expositors of God’s Word (which narrows this focus), all these men stand out. They not only profoundly affected the way I think about the Bible, but they have brought me into a deeper relationship with the Lord Jesus Christ. They have helped me climb many, “hills of difficulties,” through their sermons, treatises, and writings. These Puritans preachers have had relatively little exposure to the 21st century church, much less the internet. Hopefully that will change (currently there are about a dozen sites trying to really get the word out on the puritans and the reformation – that’s far too little). They are a wealth of knowledge. They speak to me as a pastor would through their expositions of the Word even though they have gone to be with Jesus Christ physically. Many of the puritans listed have book covers on their respective pages. Puritan Publications is working to take many rare works of the Westminster Puritans (and other puritans) and place them into print. So there are a number of eBooks, paperback books and hardback volumes that are available for sale by these great lights of the Christian and Reformed Faith. For a fraction of the cost of going to the movies, of which William Perkins condemns the use of stage-plays, them being, for the most part, “representations of men’s villainy and wickedness, to provoke the spectators to joy and laughter, and therefore are unlawful, and not to be used,” you can instead spend just a few dollars on some of the greatest treatises ever written. Such works as William Spurstowe’s classic on the promises of God as an eBook, “The Wells of Salvation Opened.” Works by William Perkins, Michael Harrison, John Brinsley, Simeon Ashe, and hundreds more. It is almost as if there are “too many” of these great works to read. So many books, so little time. 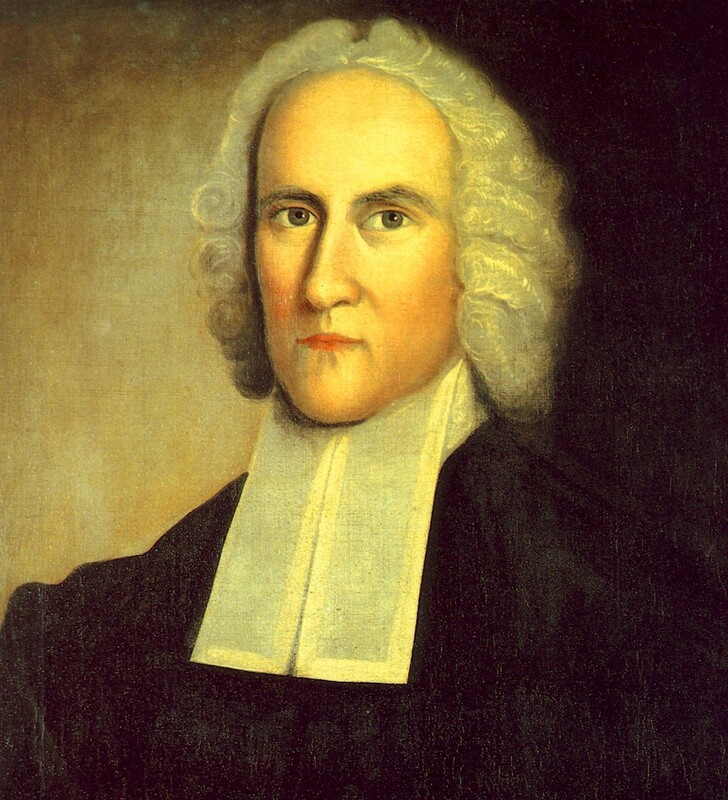 Also visit the Jonathan Edwards section of this website. Though Edwards was not a puritan (which is a basic misconception), he was profoundly influenced by the Puritans and read much of their theology, as well as the writings of the Reformation. Edwards, for example, thought Christopher Love’s sermons on Hell were the best exposition of the doctrine overall. Edwards definitely is one of the greatest theological minds to come after the puritan movement. On this site are all his works found in most of the recent double volume books of his works. If you are interested in Ramist Logic and the logical thought of the puritans, then you need to read this work: Peter Ramus and the Educational Reformation of the 16th Century by Frank Graves. Ramist thought was a way the Puritans were taught logical principles and how those principles aided them in being precisionists – astounding expositors of the Word of God. This work on Ramean Logic by Frank Graves is an excellent history of Peter Ramus who changed the world as a result of his writings on logic. An excellent work both in hardback and ebook. Today, many Christians are turning back to the puritans to, “walk in the old paths,” of God’s word, and to continue to proclaim old truth that glorifies Jesus Christ. There is no new theology. In our electronic age, more and more people are looking to add electronic books (ePubs, mobi and PDF formats) to their library – books from the Reformers and Puritans – in order to become a “digital puritan” themselves. Take a moment to visit Puritan Publications to find the biggest selection of rare puritan works updated in modern English in both print form and in multiple electronic forms. There are new books published every month. All proceeds go to support A Puritan’s Mind. Rev. C. Matthew McMahon, Ph.D., Th.D.